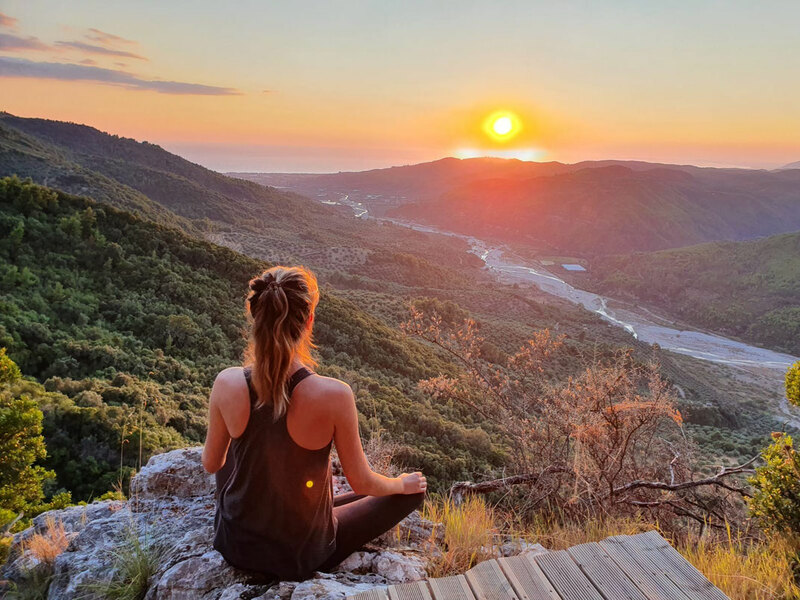 The Home of Silence yoga and meditation lodge in Greece is a place full of magic which is embedded in the beauty of nature. The lodge is located in the midst of a forest on a plateau at 600 metres above sea level, near Kyparissia in the Peloponnese. The Home of Silence yoga and meditation lodge is embedded between trees, offering a magnificent view over the valley, the mountains and the sea. It is open from May to October. We offer yoga vacation, family yoga, yoga classes for beginners and advanced students, special retreats such as the Kamikaze Yoga Retreat or trainings such as the meditation teacher training. Our team consists of experienced yoga teachers who integrate their individual yoga styles in the classes and teach yoga with a lot of sensitivity, love and joy. Experience a place full of magic, embedded in the beauty of nature. A place where you can still see the night sky with its millions of stars and hear the sounds of nature. A place which allows you to concentrate on yourself, to dive deep into your being until you find your true self. 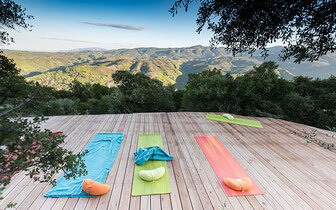 "The Home of Silence was my first yoga retreat – and since then I know for sure that many further retreats will follow. In particular, I will return to the Home of Silence, because the intimacy and tranquillity of the lodges which are located in the midst of a beautiful forest is incomparable. Silvio is a wonderful host and led us with a lot of attention through yoga and meditation practice. The originality of the country, its nature and its extremely friendly residents also contributed to me calming down at this place. And yet, this vacation would not have been so wonderful without the meals prepared by cook Ulli who spoilt the hungry guests after a long day filled with numerous experiences!" "We visited the newly opened Home of Silence lodge for the first time in summer 2016, and we were thrilled. Nowadays many yoga retreats have the character of a club vacation. People can sign up for group excursions and sports etc. The only thing missing in this kind of vacation is the animator. However, the Home of Silence is very down-to-earth and original; it is a genuine refuge for those who would like to come to rest with the help of yoga, meditation and nature. The lodges (we stayed in one the tents which are very beautiful!) 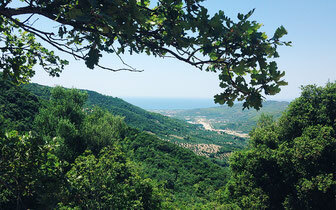 are equipped in a charming way and are surrounded by forests. The yoga classes were very helpful for me and my wife."